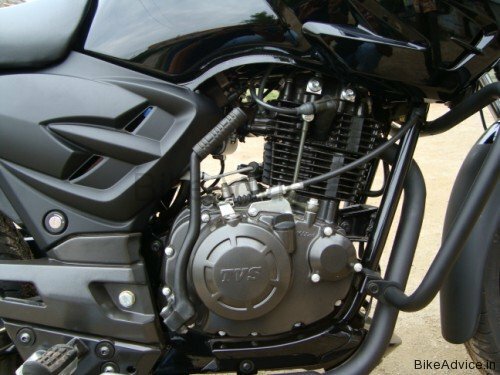 TVS has seriously re-branded itself with the latest racing bike, the Apache RTR Fi 160 cc. This bike is the flagship model of TVS. I am basically not a fan of TVS, but this bike has definitely got my attention. The tail lights are not as good as in other bikes of the same category. 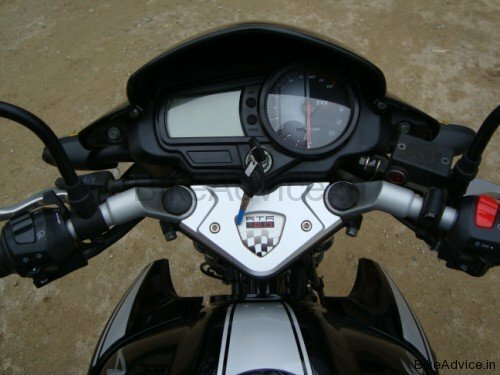 The grip bars for the pillion rider is adopted from CBZ. 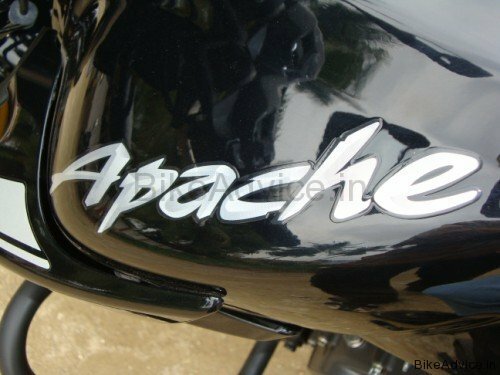 But however Apache beats its competitors in the design of the handle bar. No other bike has given importance to the meeting point of the left and right handle bars where the key is being inserted and is in front of our eyes during most of the time we spend time riding the bike. The sporty heart shaped RTR 160 logo is really a thing of beauty. 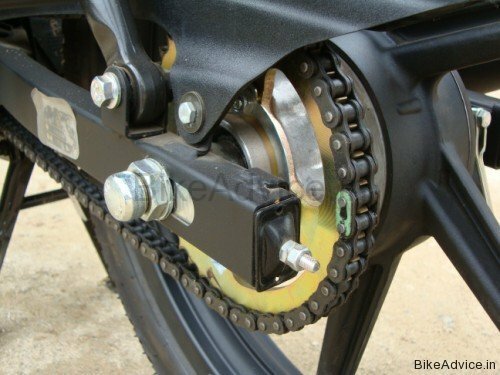 I have always admired foreign bikes for their naked rear chains. As far I know, no Indian bike left their chains naked. Apache has taken a bold move in exposing its muscle to the world! Apache’s pickup is simply awesome. Before I took the bike for the test drive, I thought, “It’s Just another 150 cc bike.” But when I took it to drive, I was amazed and had to recheck the specifications… I couldn’t believe that a bike of 160cc can deliver so much power. Apache is definitely better than Pulsar, CBZ and Hunk in terms of performance. It is the only bike next to Karizma and Pulsar 220 which gave me an adrenaline rush. The most impressive part of the bike is its handling. The bike feels heavy enough and you feel really confident when you drive it. The brakes are excellent! It comes with a 270 mm front disc break and an optional rear disc break. The disc is designed like a saw which is really unique and noticeable feature. 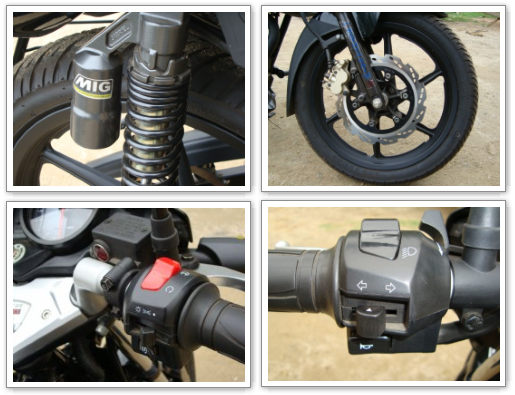 The brakes made me feel: ‘Bike are not just made to go, but to stop when you want to.’ Apache like the Hunk and Pulsar has a gas shock absorber unit which is named MIG poly shocks. The dashbaord incorporates a digital console which displays speed, fuel capacity, clock and ODO meter. It is a blend of Karizma and Pulsar in terms of looks and features, but nevertheless, it is very good. Personally, I wouldn’t want to buy TVS Apache just because I am not a great fan of TVS. But this bike makes a good choice for people who are bored with CBZs and Pulsars. Apache comes in 3 models… The Apache RTR, the Apache RTR Refresh and the Apache RTR EFi. In the first 2 models there is an extra pricing of Rs.1000 if you choose the Yellow colour. Hence people who own yellow Apaches have a premium! Overall, Apache is a blend of different bikes of other companies in the 150cc category, but tries to edge them out with little extra cool features and engine capacity. What do you think about Apache? Please leave a comment below and let everyone know whats on your mind.